The more eyes you get, the more you sell. It’s a simple formula. Social media online platforms are critical if you are going to build any sort of successful online business. 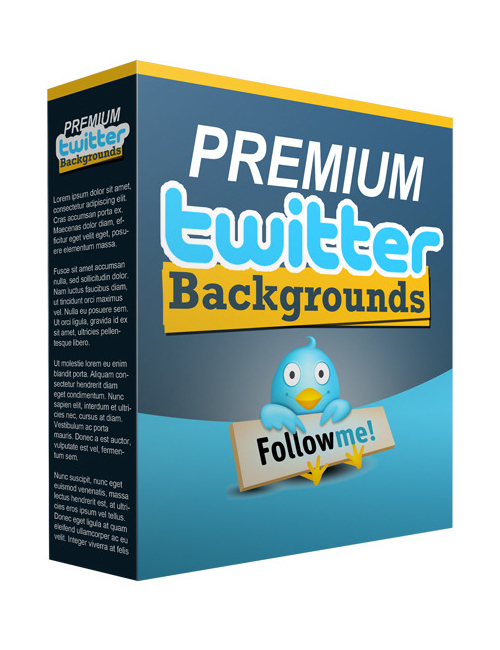 You MUST have the power to find them and convince them to buy and with these proven premium Twitter backgrounds you’ve just discovered your diamond in the rough. You now have the means to create more of a visual impact with your online business and build it as big as you desire with the marketing power of Twitter which is the largest microblogging site on the planet. Graphics are powerful and they can be essential in expanding your reach and hooking in more customers. You need a professional presentation which is why you need powerful graphics for your social media pages. It all leads to one thing; making sales and make profits. You do like the thought of making oodles of money right? That’s fabulous because this is the tool that will get you started, headed in the right direction to soar in the money department. Twitter rocks and you’re going to rock too with this download. Premium Twitter Backgrounds is the next download you need to make. Just do it and get started today.